As an avid collector of all things Nintendo I haven't had many tough decisions when it comes to buying games I want to play or just add to my collection. Nintendo, as many have pointed out during the past console generation, was never one to make retail games available for download. There wasn't much add-on DLC (aside from a few choice titles like Rock Band) on the Wii, and I'm quite sure the DS had literally none. This all changed with the release of the 3DS and the Wii U. Now Nintendo is making almost every major title available as a digital download in their ever-improving eShop. I have yet to purchase a full priced retail game through the eShop on my 3DS or my Wii U, but it looks like that may change in the very near future. I haven't really been overly excited about a title since 2011's Legend of Zelda: Skyward Sword, so when Nintendo of America FINALLY announced the release date for Animal Crossing: New Leaf I about had a conniption. Let it be known that I love me some Animal Crossing. I've been playing the series since the very beginning and New Leaf looks to be the best and most customizable outing yet. Even as it was announced I knew I needed to do something I hadn't done since 2008 - get the game at midnight. I could very well go to my local Walmart in the dead of night and pick up the game, but chances are they wouldn't have it out or even know where to find it in the back. My experience with the Walmart gaming section is one of misery and frustration. Not that I would go to GameStop, but there's no way they'd ever do a midnight launch for a game like Animal Crossing in this day and age. Do I need it at midnight? Eh, no. Do I really want it at midnight? Absolutely. It's fun to have games right as they're released. You get to experiance things that others won't for a while and it makes it that much more exciting. As I browsed the eShop I noticed that New Leaf was going to be available at midnight for download. At that point I tented my fingers like Mr. Burns and breathed a heavy, "Excellent." The collector in me wasn't happy about this, because how could I show off my games if they were on my 3DS memory card and not on my shelf? How could I fondle them late at night when no one was watching? * Well, it just so happens that my wife is also an Animal Crossing fanatic. And spoiler alert - she has a 3DS. So currently my devious plan is to download the game to my 3DS at midnight (which hopefully doesn't take too long...) and pick up the physical copy for my wifey some time the next day. I get to carry the latest and greatest Animal Crossing on my 3DS XL where ever I go AND I also get to put that lovely white case on my shelf. It's a win win! 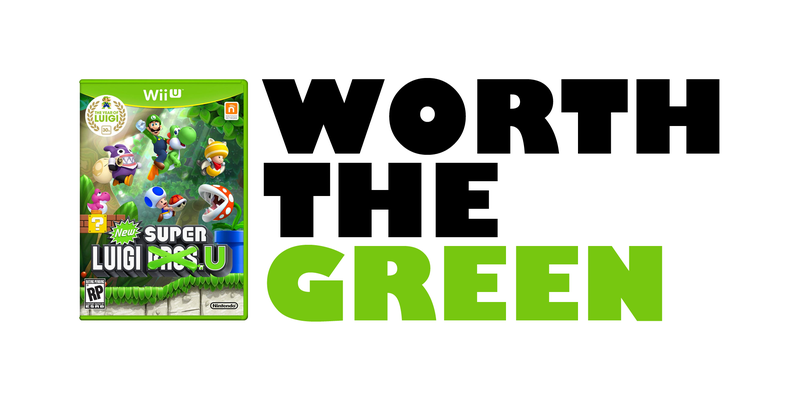 In Big N's latest Nintendo Direct they announced that the Downloadable Content adventure New Super Luigi U would be coming out in June... and August. I was all set to purchase the game as DLC this summer, but Nintendo threw me a curve ball. A green curve ball. The house of Mario had decided that they would release the title in a physical state as well, but months after it would surface digitally. As you may have guessed I'm also a huge Mario Bros fan, and I found NSMBU to be the best in the "New" series. The pros and cons of digital and physical have reared their ugly heads and now I have to decide. Choice #1 - Go Digital: The bright side is that I would be able to play the game day one. It would also cost ten dollars less then the physical copy. On the other hand, I wouldn't be able to put it on my shelf, and it does appear that it would be a somewhat collectable item. Choice #3 - Get Both: What am I, made of money!? That's not happening. It may cost me some green, but when it comes to my collection I'm willing pay more and wait a while. It's hard to tell what the future holds for the world of gaming, but the trend sure seems to be moving towards more digital and less physical. I fear that my collecting of new physical games will slow, but I guess that will make them all the more special. *I don't really do that... or do I? No. I don't.